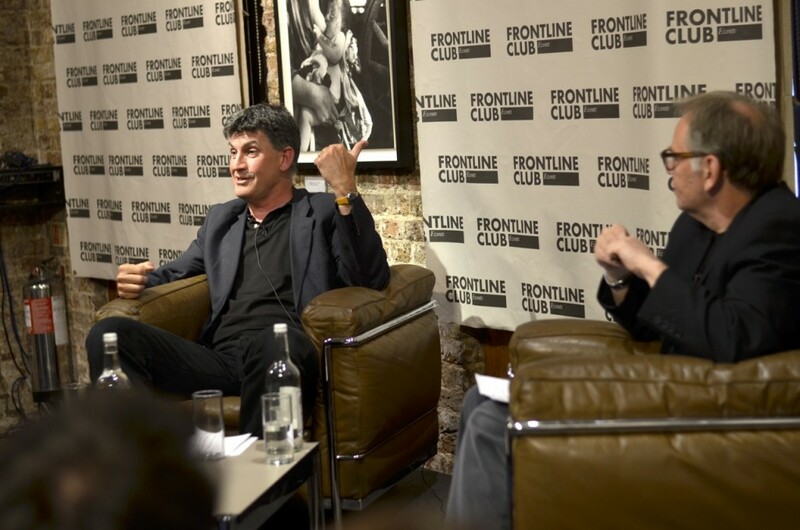 ‘Reflections’ at the Frontline Club brings well known journalists to the stage to look back on their careers. Incorporating video clips, still images and articles selected by them, the host Vin Ray describes it as “a cross between Desert Island Discs and This is your Life”. It is held in association with the BBC Academy College of Journalism. On 29th May Alex Thomson, chief correspondant for Channel 4 News and the recent winner of the prestigious RTS Television Journalist of the Year joined Vin Ray. The first to be shown were two black and white still images showing the famous albino boy in Biafra by Don McCullin and Eddie Adam’s man being shot in Vietnam, the Saigon Execution.